Cebolla Wilderness lies to the east, just across the road (NM 117) from the West Malpais Wilderness inside the El Malpais National Conservation Area. Most of the 63,000 acres of Cebolla Wilderness are easy to get around in because there is much less of the broken lava flows everywhere. This is an area of sandy washes beneath sandstone bluffs and high mesas. 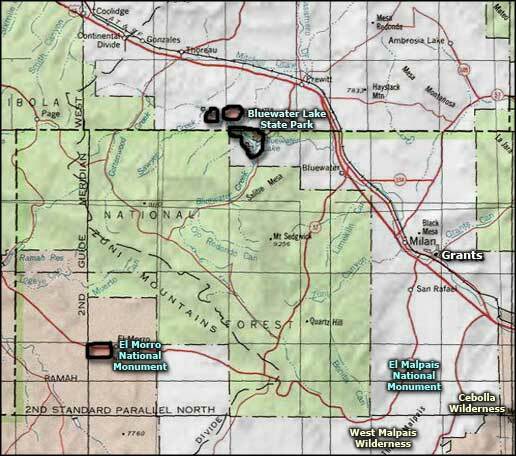 The rimrock is forested with Ponderosas, pinons and junipers, and the canyons are grassy. Old, abandoned roads can make the hiking easy in some of these canyons but be careful, the eastern boundary of the wilderness is the western boundary of Acoma Indian Reservation: without permission from the reservation manager you don't want to go there. Some of these canyon walls have ancient petroglyphs on them. Some of these canyons contain the ruins of Depression-era homesteads. None of this countryside has any surface water, so you'd better bring your own. 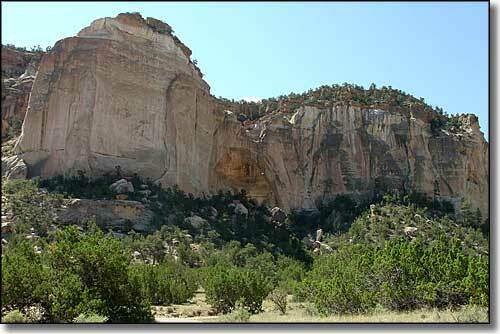 Cebolla Wilderness is also the home of La Ventana Arch, a natural sandstone arch sculpted by wind and water erosion. The arch is about 1/4-mile inside the Wilderness. 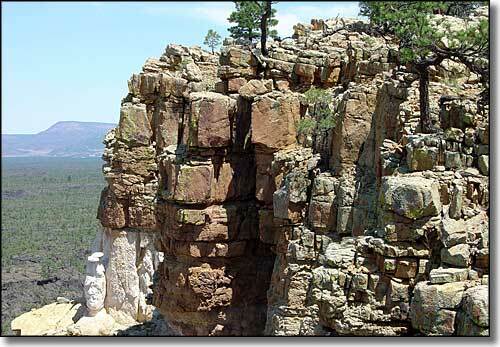 A popular hike in the Wilderness is the Narrows Rim Trail. It starts at the southern end of the Narrows Picnic Area and follows a cairned trail up onto the sandstone bluff, then follows the edge of the sandstone rim for about 4 miles to a viewpoint with an excellent view of La Ventana Arch. 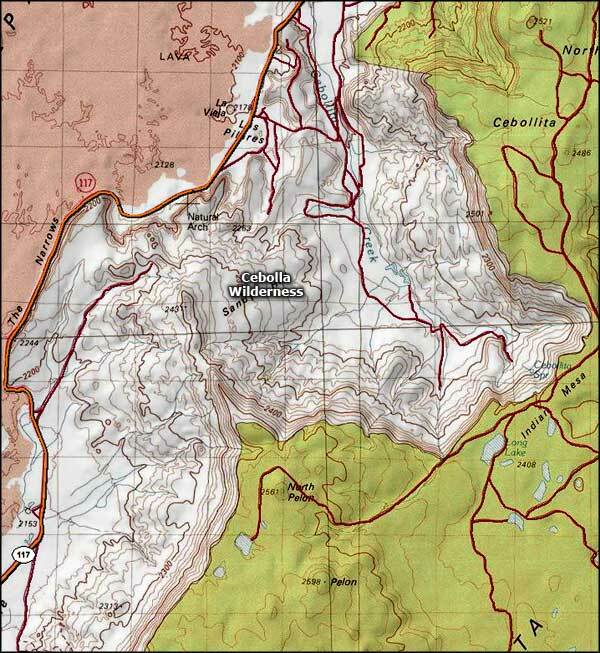 There are other trailheads near the Arch, the South Narrows and the BLM Ranger Station. Cebolla Wilderness is open year round and there are no fees involved. This is designated Wilderness, so no motorized or mechanized vehicles allowed (including mountain bikes). Lower photo of view across El Malpais lava fields courtesy of Bryce Chackerian, CCA ShareAlike 3.0 License.